*Size: 17cm x 23 cm. *Material:Waterproof Polyester Filled with Shockproof Cotton(Protective Feature),lining with 100% polyester,fine stitched. Structure:1main Compartment +3Mesh Pocket+4Elastic Loop Slot. *Easy to take and wash, very convenient. 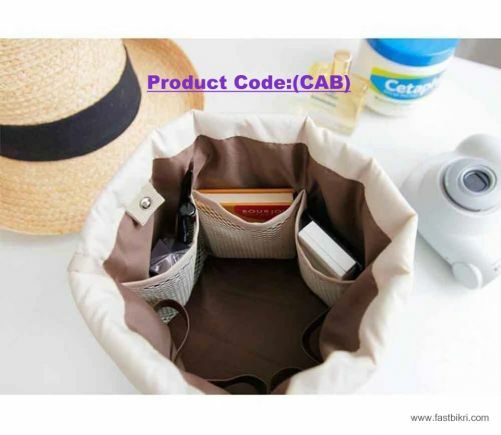 *Perfect for organizing your toiletries or other little articles of daily use. *Package including: 1x Barrel drawstring bag+1x small zipper pocket+1x PVC pouch ( Cosmetic are not included).